The Arctic is a polar region located at the northernmost part of the Earth. The Arctic consists of the Arctic Ocean and parts of Alaska (United States), Canada, Finland, Greenland (Denmark), Iceland, Norway, Russia, and Sweden. 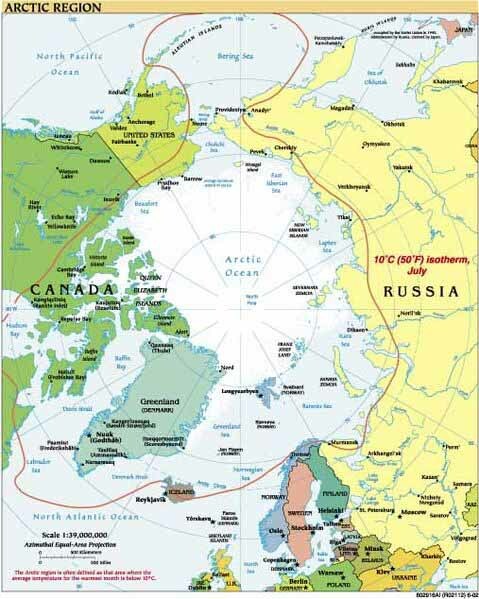 The Arctic region consists of a vast ocean with a seasonally varying ice cover, surrounded by treeless permafrost. The area can be defined as north of the Arctic Circle (66° 33'N), the approximate limit of the midnight sun and the polar night. Alternatively, it can be defined as the region where the average temperature for the warmest month July is below 10° C (50° F); the northernmost tree line roughly follows the isotherm at the boundary of this region. The Arctic is melting. The first ice-free summer is coming. The whole melting process is speeding up the warming of the entire Earth. And every autumn, a layer of extra clouds are forming over the ice-thinning Arctic that researchers now believe are speeding that melting up. 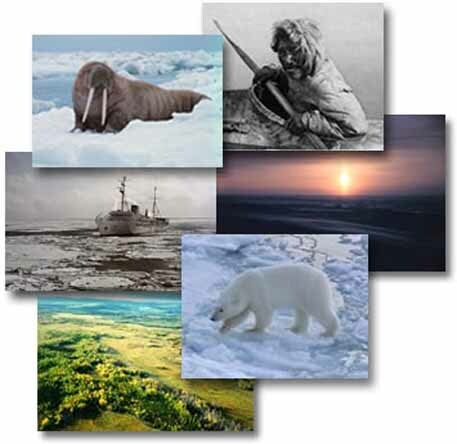 Arctic sea ice loss is enhanced by natural climate fluctuations such as El Ninos and La Ninas. With manmade greenhouse gases on top of the natural climate variability, the decrease in sea ice is even more severe than climate models originally estimated. Using a series of climate models, the team used a "fingerprint" method to estimate the impact of natural climate variability. Natural swings in the Earth's climate contribute to about 40 percent to 50 percent of the observed multi-decadal decline in Arctic sea ice. A new collaborative study has investigated Arctic shrub-snow interactions to obtain a better understanding of the far north's tundra and vast permafrost system. Incorporating extensive in situ observations, Los Alamos National Laboratory scientists tested their theories with a novel 3-D computer model and confirmed that shrubs can lead to significant degradation of the permafrost layer that has remained frozen for tens of thousands of years. These interactions are driving increases in discharges of fresh water into rivers, lakes and oceans. The world's largest shipping company is trying a shortcut trade route through the Arctic as global warming thaws open the infamous Northeast Passage. All day long, the surface of Esieh Lake in northern Alaska shudders with indigestion. This Arctic lake never fully freezes. Stand next to it, and you'll hear it hiss. Watch it, and you'll see it boil with ancient, bubbling gas. Light a fire over it, and the lake will fart a tower of flame higher than your head. That's exactly what Katey Walter Anthony, an aquatic ecosystem ecologist at the University of Alaska Fairbanks, did in a popular YouTube video from 2010. Walter Anthony has been studying Esieh Lake for the better part of a decade (she also named it). Now, according to a profile written by Chris Mooney for The Washington Post, she knows the cause of the lake's odd behavior. The culprit is a constant seep of the greenhouse gas methane - a lot of methane - spilling out of an ancient reservoir of permafrost (or permanently frozen ground) deep below the tundra. Arctic sea ice isn't just threatened by the melting of ice around its edges, a new study has found: Warmer water that originated hundreds of miles away has penetrated deep into the interior of the Arctic. 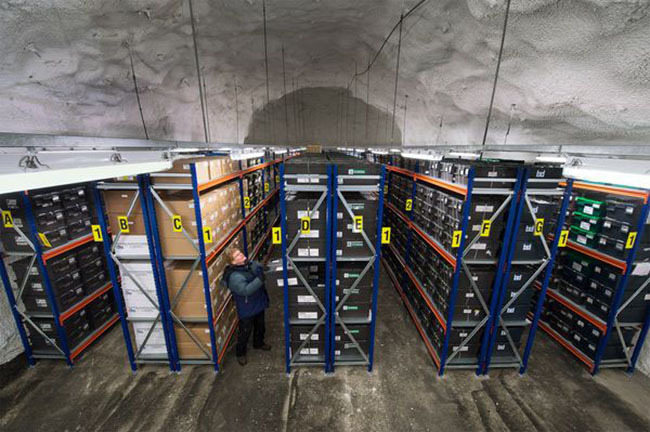 That "archived" heat, currently trapped below the surface, has the potential to melt the region's entire sea-ice pack if it reaches the surface, researchers say. As average temperatures rise across the planet, the frozen Arctic is heating up faster than anywhere else. With that warmth comes a surprising twist: Unusually warm Arctic winter temperatures are linked to bitter cold and snow in other parts of the Northern Hemisphere, such as the northeastern U.S., parts of northern Europe and northern Asia, according to an analysis of 66 years worth of climate data. And the relationship between Arctic warmth and severe winter weather was strongest in in the northeastern U.S. - in fact, a temperature spike in the Arctic meant that the U.S. Northeast was two to four times more likely than usual to experience a bout of extreme winter weather, the scientists reported in a new study. Winter is still in full swing in the North Pole, but temperatures this week have been downright summer-like in the Arctic. Although it is shrouded in the darkness of a 24-hour polar night, temperatures in the Arctic have soared well above freezing this week, marking the hottest temperatures recorded in the region during winter, according to scientists from the Danish Meteorological Institute. Calculations from Cape Morris Jessup, the world's northernmost land-based weather station, show that temperatures from February in eastern Greenland and the central Arctic are averaging about 15°C (27°F) warmer than seasonal norms. The North Pole, also known as the Geographic North Pole or Terrestrial North Pole, is, subject to the caveats explained below, defined as the point in the Northern Hemisphere where the Earth's axis of rotation meets its surface. It should not be confused with the North Magnetic Pole. 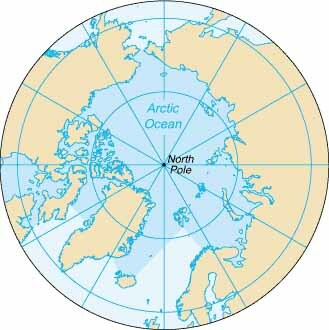 The North Pole is the northernmost point on the Earth, lying diametrically opposite the South Pole. It defines geodetic latitude 90� North, as well as the direction of true north. At the North Pole all directions point south; all lines of longitude converge there, so its longitude can be defined as any degree value. While the South Pole lies on a continental land mass, the North Pole is located in the middle of the Arctic Ocean amid waters that are almost permanently covered with constantly shifting sea ice. 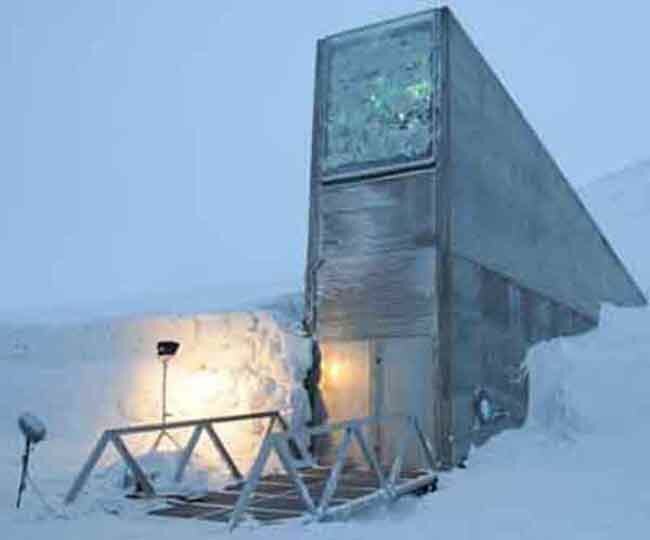 This makes it impractical to construct a permanent station at the North Pole (unlike the South Pole). However, the Soviet Union, and later Russia, constructed a number of manned drifting stations on a generally annual basis since 1937, some of which have passed over or very close to the Pole. Since 2002, the Russians have also annually established a base, Barneo, close to the Pole. This operates for a few weeks during early spring. Studies in the 2000s predicted that the North Pole may become seasonally ice-free due to Arctic ice shrinkage, with timescales varying from 2016 to the late 21st century or later.